Area 51 is a military base, and a remote detachment of Edwards Air Force Base. It is located in the southern portion of Nevada in the western United States, 83 miles (133 km) north-northwest of Las Vegas. Situated at its center, on the southern shore of Groom Lake, is a large military airfield. The base's primary purpose is undetermined; however, based on historical evidence, it appears to support development and testing of experimental aircraft and weapons systems. The Area 51 base lies within the United States Air Force's vast Nevada Test and Training Range (NTTR), formerly called the Nellis Air Force Range (NAFR). Although the facilities at the range are managed by the 99th Air Base Wing at Nellis Air Force Base, the Groom facility appears to be run as an adjunct of the Air Materiel CommandAir Force Flight Test Center (AFFTC) at Edwards Air Force Base in the Mojave Desert, around 186 miles (300 km) southwest of Groom, and as such the base is known as Air Force Flight Test Center ,Detachment 3. Though the name Area 51 is used in official Central Intelligence Agency (CIA) documentation, other names used for the facility include Dreamland, Paradise Ranch, Home Base, Watertown Strip, Groom Lake, and most recently Homey Airport. The area is part of the Nellis Military Operations Area, and the restricted airspace around the field is referred to as R-4808N, known by the military pilots in the area as "The Box" or "the Container". SAP, which are unacknowledged publicly by the government, military personnel, and defense contractors. Its mission may be to support the development, testing, and training phases for new aircraft weapons systems or research projects. Once these projects have been approved by the United States Air Force or other agencies such as the CIA, and are ready to be announced to the public, operations of the aircraft are then moved to a normal air force base. 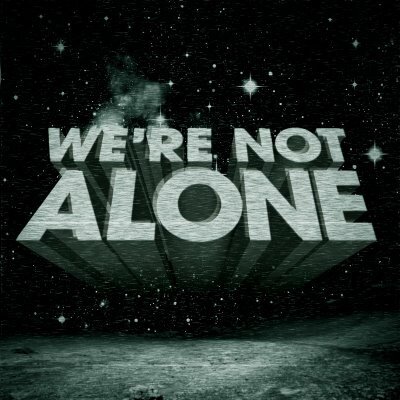 The amount of information the United States government has been willing to provide regarding Area 51 has generally been very minimal. The government explicitly concedes in various court filings, government directives and replies to inquiries that the USAF has an "operating location" near Groom Lake, but does not provide any further information. Information on and photos of various past projects have been declassified however and are now available to the public . Every weekday morning, some 500 people arrive at a guarded terminal on the northwest side of McCarran Airport in Las Vegas, Nevada. Here they board one of a small fleet of unmarked Boeing 737s. Using three-digit numbers prefixed by the word “Janet” as their call signs, the 737s fly off every half-hour. Their destination is Groom Lake, a dried-up wash in the Mojave Desert, better known as “Area 51,” an installation so secret, its very existence is denied by the government agencies and contractors who have connections there. Area 51 has become a part of popular culture. An installation the U. S. government denies exists is mentioned in everything from video games to serious news programs. Why all the hype? It is generally accepted that classified airplanes, such as the U2, the SR-71 Blackbird and the Stealth Fighter were tested at Area 51, but what has people really intrigued is what is rumored to be there. Namely, alien spacecraft and,gulp, space aliens. From what few pieces of information the U. S. Defense Department will divulge, it seems the area began life as a secret base in 1954, when the Lockheed Aircraft Corporation arrived to develop the U-2, a high-altitude spy plane used for surveillance inside enemy territory.If you can remember the name of the U-2 pilot whom the Russians knocked out of the skies ever so long ago, you are showing your age. Tony LeVier, Lockheed’s test pilot assigned to test-fly the U-2, claims credit for recognizing Groom Dry Lake as a suitable test site. The U. S. Central Intelligence Agency had given U-2 designer Kelly Johnson the task of choosing and building a secure aircraft test site. In March of 1955, Johnson sent LeVier and Lockheed foreman Dorsey Kammerer on a mission to visit potential test sites in the deserts of southern California, Nevada and Arizona. After two weeks of investigation, LeVier presented Johnson with his impressions, and Johnson chose Groom Lake. The Groom Lake facility has been known by many names since its construction. Kelly Johnson named the place “Paradise Ranch.”The word “ranch” in Nevada has certain special connotations, which we won’t get into here.When Johnson’s test flight team arrived in July 1955, they simply called it “The Ranch.” In truth, the secret base was formally named “Watertown Strip,” after the town in upstate New York, near Lake Ontario, where CIA director Allen Dulles was born. In June of 1958, it was officially designated “Area 51” by the Atomic Energy Commission. In 1989, the simple pleasure of having a secret installation as a neighbor faded when the name of a self-described physicist named Bob Lazar flashed across the Las Vegas TV news. 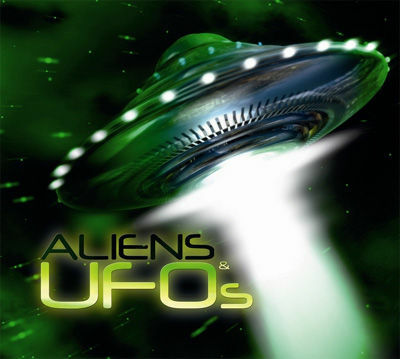 Lazar claimed he had worked at Area 51 for a few months the previous year, “reverse-engineering” one of nine captured alien flying saucers housed there to learn precisely how its extraterrestrial power source worked. When documents that mention the NTS and operations at Groom are declassified, mentions of Area 51 and Groom Lake are routinely redacted. One notable exception is a 1967 memo from CIA director Richard Helms regarding the deployment of three OXCART aircraft from Groom to Kadena Air Base to perform reconnaissance over North Vietnam. Although most mentions of OXCART's home base are redacted in this document, as is a map showing the aircraft's route from there to Okinawa, the redactor appears to have missed one mention: p15 section No. 2 ends "Three OXCART aircraft and the necessary task force personnel will be deployed from Area 51 to Kadena." Unlike much of the Nellis range, the area surrounding the lake is permanently off-limits both to civilian and normal military air traffic. Radar stations protect the area, and unauthorized personnel are quickly expelled. Even military pilots training in the NAFR risk disciplinary action if they stray into the exclusionary "box" surrounding Groom's airspace .Perimeter security is provided by uniformed private security guards working for EG&G's security subcontractor Wackenhut,who patrol in Humvees, SUVs, and pickup trucks. The guards are armed with M16s, but no violent encounters with Area 51 observers have been reported; instead, the guards generally follow visitors near the perimeter and radio for the Lincoln County Sheriff. 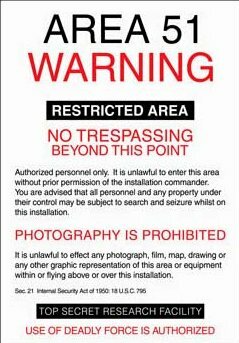 Deadly force is authorized if violators who attempt to breach the secured area fail to heed warnings to halt. Fines of around $600 seem to be the normal course of action, although some visitors and journalists report receiving follow-up visits from FBI agents. Some observers have been detained on public land for pointing camera equipment at the base. Surveillance is supplemented using buried motion sensors. 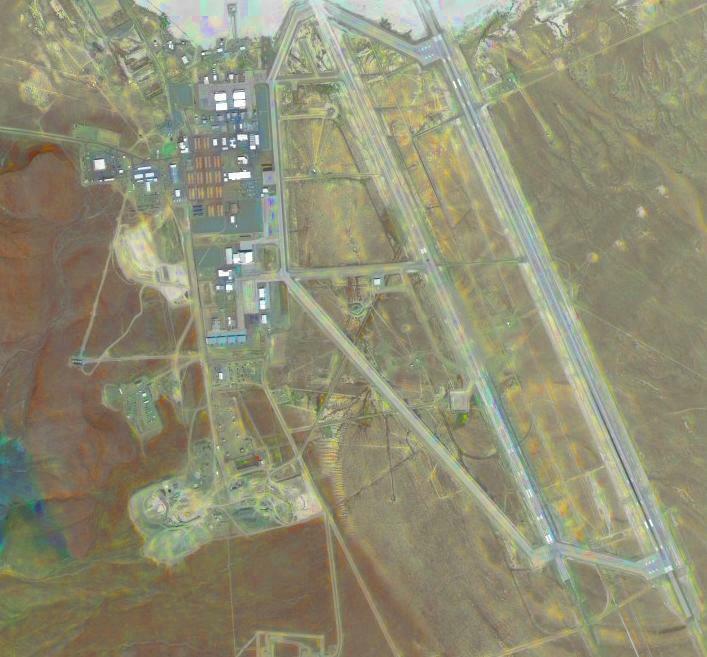 Aerial imagery shows the airfield of Area 51 having seven runways including one that now appears to be closed. The closed runway, 14R/32L, is also by far the longest with a total length of approximately 23,300 feet (7,100 m), not including stopway. It appears to contain numerous cracks, the concrete slabs used in its construction having deteriorated due to the desert heat. The two active airfield runways are of asphalt construction, 14L/32R with a length of 12,000 feet (3,700 m) and 12/30 with a length of 5,400 feet (1,600 m), and four runways located on the salt lake. These four runways are 09L/27R and 09R/27L, which are both approximately 11,450 feet (3,490 m), and 03L/21R and 03R/21L, which are both approximately 10,000 feet (3,000 m). The control tower and a support building is located at adjacent to an access road in the taxiway area. There is also a twin-ended hangar located in the taxiway area, 37°14′03″N 115°48′16″W﻿ / ﻿37.23417°N 115.80444°W﻿ / 37.23417; -115.80444. It has one end for fixed winged aircraft, the opposite end for helicopters and what may be an area for personnel in the middle of the structure. It may possibly be used for alert aircraft. On the flight line are two open transient aircraft parking ramps, along with what appears to be a terminal/base operations buildings visible. A large number of vehicles are parked near it, likely being used for personnel transport around the base. The northern transient aircraft ramp appears to be used for single or twin-engine commuter aircraft; the southern transient ramp for larger aircraft. Imagery shows several Boeing 737 aircraft parked on the southern ramp. These are likely used for transporting personnel to the Groom Lake facility from other locations. The storage, examination, and reverse engineering of crashed alien spacecraft ,including material supposedly recovered at Roswell, the study of their occupants living and dead, and the manufacture of aircraft based on alien technology. The development of exotic energy weapons for the Strategic Defense Initiative ,SDI or other weapons programs. 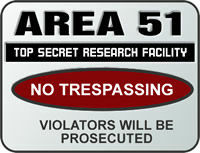 They believe that the rumors helped maintain secrecy over Area 51's actual operations. While the veterans deny the existence of a vast underground railroad system, many of Area 51's operations did and presumably still do occur underground. 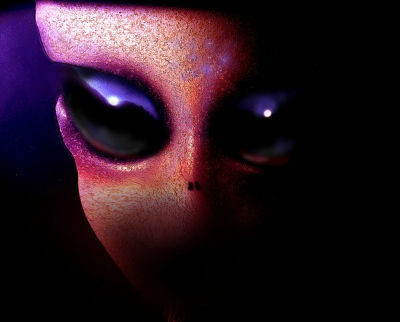 Several people have claimed knowledge of events supporting Area 51 conspiracy theories. These have included Bob Lazar, who claimed in 1989 that he had worked at Area 51's "Sector Four (S-4)", said to be located underground inside the Papoose Range near Papoose Lake. Lazar has stated he was contracted to work with alien spacecraft that the U.S. government had in its possession. Similarly, the 1996 documentary Dreamland directed by Bruce Burgess included an interview with a 71 year old mechanical engineer who claimed to be a former employee at Area 51 during the 1950s. His claims included that he had worked on a "flying disc simulator" which had been based on a disc originating from a crashed extraterrestrial craft and was used to train US Pilots. He also claimed to have worked with an extraterrestrial being named "J-Rod" and described as a "telepathic translator". Approximately 15.5 miles north-northeast of the base, on a peak known as Baldy Mountain, are a series of radar radomes , 37°27′06″N 115°44′06″W﻿ / ﻿37.45167°N 115.735°W﻿ / 37.45167; -115.735 at approximately 9,400' elevation. The types of radar at these sites is unknown, although they may be the ARSR-4 Air Route Surveillance Radar which is used by the Air Force and FAA Joint Surveillance System throughout the United States. Another series of radars of a different type are located on a ridge at 4,300' just to the north of Groom Lake at 37°17′41″N 115°49′21″W﻿ / ﻿37.29472°N 115.8225°W﻿ / 37.29472; -115.8225. All of the radar sites appear to be automated and unattended. Approximately 85 miles to the northeast of the Area 51 airfield is a 7,300' airstrip aligned 03/21, that is parallel to U.S. Route 6 . This airfield is known as "Base Camp Airfield". There is no sign at the facility except "U.S. Government" and to "Keep Out". It is alleged that the facility is operated by civilian government contractor personnel on behalf of the Air Force Flight Test Center at Edwards AFB, California. It may be an auxiliary airfield for the Groom Lake airfield. In addition to the single runway, there is a small residential compound presumably for the operations staff; a radome which appears to be a VORTAC/VOR-DME station; an industrial compound; and a fire station. The runway, equipped with modern navigation aids, is shown as "closed" on air charts and is marked with an "X" painted on either runway end, however aerial imagery shows the industrial compound has several vehicles parked inside it, and a vehicle parked near the aircraft parking ramp of the airstrip. Halligan Mesa Radar Site is located approximately 15 miles northeast of Base Camp Airfield . It is an electronics and communications facility used for collecting data for Air Force testing programs conducted in the vicinity of the Tonopah Test Range (TTR) and the Nellis North Range38°30′18″N 116°08′50″W﻿ / ﻿38.505°N 116.14722°W﻿ / 38.505; -116.14722﻿ ,Halligan Mesa Radar Site. Ironically, for a project named after one of the slowest vehicles on Earth, Ox Cart involved one of the fastest creations in flight history, pioneered by aviation legend Kelly Johnson. With Project Oxcart, which eventually became the SR-71, a longer runway was needed and in fact a small town was built for the support personnel assigned there. Area 51 probably is hidden in underground facilities or in hangars to keep the prying eyes of foreign satellites from knowing what is going on there. Rumors have surfaced over the years that the base has as many as 22 levels underground, and some of the hangars seen from locations miles from the base indicate structures of gigantic size. One of the two runways at Groom Lake is 30,000 feet long, indicating some aircraft are landing at tremendous velocity, to require that length of runway. As a comparison, one of the Roswell Army Airfield runways is 13,000 feet and was used by B-29 and B-52’s to carry atomic bombs in the 40’s, 50’s and early 1960’s. MYSTERY OF THE LONG RUNWAY: During the close of WWII, General Patton's army came upon a very unusual find at a captured German facility in France near the V1 and V2 launch sites. This finding was described in Patton's biography, which included specific data and photos, and also in an official document known as the "Patton memo". In fact, General Patton specifically warned the U.S. military of unbelievable facilities being found. General Patton described coming upon a huge runway that was 200 feet wide, 11,300 feet long, and was made of concrete which was 14 feet thick. The memo stated that the runway was built by the Germans using thousands of slave laborers, and took several years to complete. It was his written opinion that the construction materials and labor force "surpassed that of the great pyramids"his words.The runway incorporated a unique feature at the far end. An upward turned "ski slope" was built into the runway to allow larger aircraft with heavy cargo loads to take off more easily. This "ski slope" feature was later incorporated into the designs of British and Russian aircraft carriers. 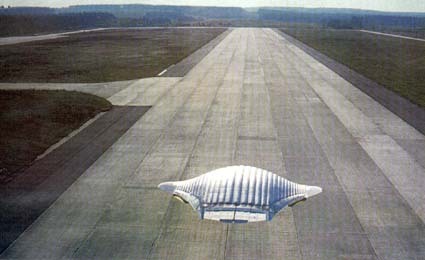 The U.S. constructed such a runway in 1972 for our incoming and outgoing SECRET horizontal take off and landing spacecraft at Hunter Army Airfield (Savannah GA.), which was never officially closed. For nearly 30 years the SR-71 remained the fastest aircraft in active service, flying over global hot spots in Europe and the Middle East. No Blackbird aircraft was ever lost to enemy action, but one was destroyed when it was launching an even faster vehicle. During the 1980s, several SR-71s were modified to carry a ramjet-powered unmanned vehicle designed to over-fly the most dangerous targets. Typical of the type of advanced aircraft put through it's paces at Groom Lake was the famous SR-71 "BlackBird." In the early 60's it became obvious that the U-2 spy plane, despite it ability to fly at ultra high altitudes, was vulnerable to attack while doing recon over enemy territory. One, flown by Gray Powers, was shot down over the USSR, and later one was brought down over Cuba. The military decided that they needed a spy plane that could not only fly high and fast, but was packed with advanced electronics to fool enemy missile radar. The SR-71 was designed totally in secret. With a top speed of over Mach 3 (three times the speed of sound, more than 2,200 miles an hour) it was, and remains, the fastest aircraft ever built. It went into service in the mid-sixties and was only recently retired. During that entire time no SR-71 was ever caught and shot down. Some speculate that the "Black Bird's" successor is in test at Groom Lake right now. Between December 1988 and April 1989, the area known as Groom Lake, on the Nellis Air Force Range in central Nevada became unusually popular. The now infamous Area 51 and especially the Groom and Papoose dry lake beds were relatively unknown terms to the mainstream community from the mid 1970's to 1989. The scientific circles knew it as "Dreamland" or as the "Skunkworks" or simply as Groom Lake. One night in May 1989, a reporter broadcast a story from a satellite link in Las Vegas Nevada. 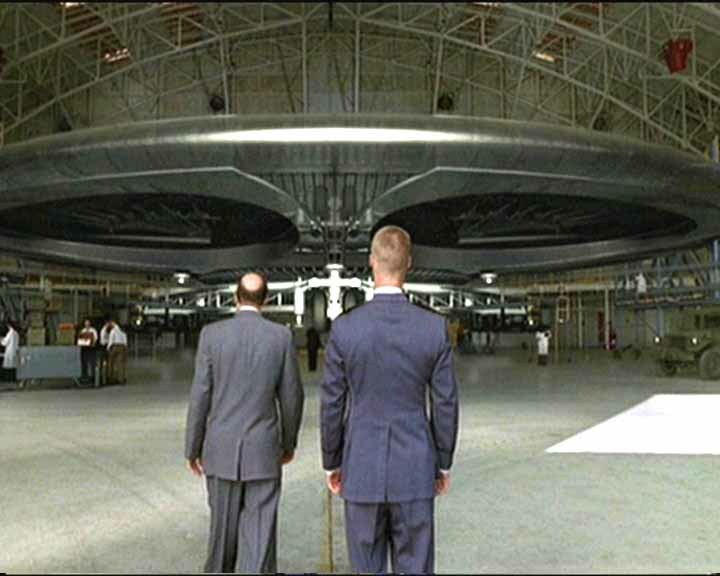 A young physicist spoke under hidden identity, and told us of nine alien discs held near Groom Lake by a small, autonomous group of the American government. He used the pseudonym "Dennis" which turned out to be the name of his superior at the base. A few weeks later he went on camera using his real name, Bob Lazar, and he has been the subject of world-wide curiosity, speculation and controversy ever since. Lazar described the facility as being built into the base of the Papoose Range, with 9 hangar doors sloped at about a 60 degree angle. He said the doors had a sand-like texture coating to them, and Gene Huff later said the doors were rollup type doors.There were 9 of the hangar bays in all.S-4 is located just southwest of Area 51. Over the mountain range that many speculate is a huge underground base. Evidence supporting his claims is considerable. In addition to his claiming Naval Intelligence work at S4 (15 miles southwest of Area 51) from late 1988 to early 1989, Robert Lazar claimed to have worked at the Meson Physics lab, a part of the Los Alamos National Laboratories. The FBI is still dragging its feet in investigating his employment there, even though former Nevada Congressman James Bilbray asked it to investigate over four years ago. Evidently, FBI agents are still scratching their heads, wondering how to both deny his employment at Los Alamos and explain why his name is in an old telephone directory of Los Alamos scientists. An article by staff writer Terry England in the June 27, 1982 edition of the Los Alamos Monitor, which shows a picture of Lazar standing next to a jet car and refers to his employment as a scientist with Los Alamos, is also hard to explain. Two-dozen odd Los Alamos employees told former KLAS-TV anchor George Knapp that they remembered Lazar. Some of them said that they had been warned not to talk about Lazar and that they were afraid to talk about him. Four of them, though, confirmed for Knapp that Lazar had been working on classified projects there. After denying Lazar’s employment there since 1989, Los Alamos in April 1994 finally changed its story and said that he had been employed there. Knapp also talked to former employees of the super-secret Groom Lake base, who corroborated Lazar’s description of such details as how one gets to the base dining room, what the dining room looks like, and how one pays for meals there. It’s extremely unlikely that an outsider would know such information. When people leak information about a Top Secret project to the public, eye brows of government "personnel" are sure to rise. If you want to make government "personnel" stand up and stare, then write something about Area 51 and Aliens. It seems that Top Secret Aliens, Stealth, SR 71, S4 all have a common thread with Area 51. AREA 51, part of the Nellis Air Force Base is approximately 80 to 125 miles northwest of Las Vegas. At Area 51 the U.S. government has been test flying highly secret BLACK PROJECT aircraft for many years, several people think this includes UFO's. They call one part of this military site Groom Dry Lake area. It has been proven the Stealth and SR 71 projects were built and tested at this famous Area 51. People who work in and around this military installation refer to this highly secret area as "Dreamland" or "Skunkworks" or sometimes just "Groom Lake." Robert Lazar opened the veil of security and was ready to back up his outlandish story. He explained his involvement in Area 51 and S4. He detailed the items in Area 51 and S4 that contained the project that shocked the world. He was so precise that he even gave the exact coordinates of Area S4, and they are N 37ｰ 01' 40", W 115ｰ 46' 35". Whenever someone first reveals unusual information in this country everyone immediately thinks that the person is either wrong, crazy or a person with some wild story fabricated to get personal attention. American history has had many outlandish stories told and later proved accurate. In the past decades many outlandish stories have already proven that some were facts and some are left to wonder about for years to come. Area 51 is a block of government land located north of Las Vegas. It is surrounded by the Nellis Air Force Range. The name “Area 51,” which the government does not publicly acknowledge, supposedly came from a designation appearing on an old map of the Nevada Atomic Test Site. Those who have managed to get close enough to the installation to take photographs have brought back images, which show nothing more than a few hangars and other surface structures. 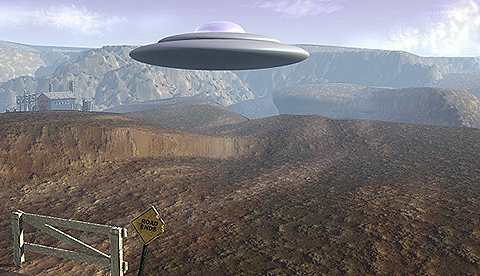 It is believed that Area 51 actually stretches miles underground as part of an enormous subterranean military complex. We do know that the exact coordinates of Area S4, an even more secretive part of the southern Nevada installation located not far from Area 51, are N37° 01’ 40”, W 115° 46’ 35.”In the past, the installation at Groom Lake was used as a testing ground for super-secret military projects. The U-2, A-12, SR-71 Blackbird, and F-117A were flight tested here long before being made public. Since the government won’t acknowledge anything about the facility, it’s impossible to know what is going on there now. 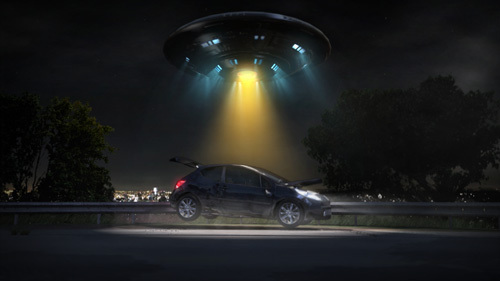 In recent years, witnesses have allegedly sighted incredibly exotic airborne craft over the Area 51 test site, which exceed all of mankind’s known current technological abilities. This, along with reports of alien bodies and strange extraterrestrial artifacts supposedly witnessed by persons who have worked at the base, lead some individuals to believe that Area 51 houses much more than a few highly sophisticated test aircraft. Interestingly, Las Vegas is the closest metropolis to Area 51. Both places seem to thrive on mystery and illusion, and having Las Vegas nearby makes for the ultimate road trip. As many persons find out, gambling, aliens, paranoia, and a fast rental car make for a wicked combination for some reason, I think of Chevy Chase. Area 51 is 135 miles from Las Vegas. From Vegas, take I-15 north to U. S. 93, continue north on 93 for 85 miles to NV 375, then head west on NV 375, Nevada’s “Extraterrestrial Highway.” Even though you don’t see much along the way, the drive is still interesting because of the mystery and anticipation surrounding Area 51.Most visitors will likely visit the nearby town of Rachel, Nevada, and drive a couple of miles down the base access road. Actually viewing Area 51 requires extensive preparation. Since the military annexed the land that provided easy viewing, you can now only see the base from 30 miles away after a dirt road drive and a strenuous desert hike. Near Mile Marker 29.5 on Highway 375, one sees a lone mailbox used by a local rancher. Since this “Black Mailbox” is the only recognizable landmark in a lonely stretch of highway, it is here that “true believers” tend to congregate. Many visitors, normal and possibly paranormal, claim to have seen flying saucers here, although the rancher himself claims to have seen nothing. There used to be two viewpoints on public land close to Area 51 – White Sides and Freedom Ridge – where a visitor could legally view the super-secret base. However, these areas were closed by the Air Force in 1995. You can still see the installation from a distant mountain, Tikaboo Peak, but it requires a difficult hike from a remote desert road.In summer, there are group hikes sponsored by the Area 51 Research Center. The Area 51 access road is near Mile Marker 32 on NV 375. It is the wide dirt path going off toward a distant ridge. Known as the Groom Lake Road, it is in the middle of nowhere. The greatest danger in visiting what can be described as remoteness personified is wandering across the unfenced Area 51 border, which action would result in your immediate arrest and a substantial fine. Wherever a road crosses the border, “Restricted Area” signs mark it. In the desert, orange posts every 50 yards mark the border. It is unwise to hike near the border at night because the posts become invisible. A major danger when driving is getting stuck on an unmaintained dirt road that your vehicle cannot handle. “Cammo Dudes” is the nickname for the anonymous private security force that patrols Area 51 border 24 hours a day. They wear camouflage fatigues without insignias and drive white Jeep Cherokees with government plates. The guards keep close watch on any visitors who come within a few miles of the border, but are under orders to avoid contact. Trespassers are reported to the local sheriff, who must get extremely tired of trying to enforce federal regulations. Whenever anyone leaks information about a Top Secret project to the public, eyebrows of government security personnel are sure to rise. If you want to get the attention of those security personnel, write something about Area 51 and space aliens. It seems that Top Secret--Space Aliens--Stealth--SR-71--S4---all have a common thread with Area 51. It is the most secret military installation in American history. If you visit, do keep in mind the title of this article. For a place that doesn’t officially exist, Area 51 has been referred to by a lot of names over the years. Some of those names included; GroomLake, Dreamland, Paradise Ranch, Watertown Strip, the Box, the Pig Farm and several others. Many people do not know how or when Area 51 came into existence in thedesert some 85 miles northwest of Georgia Nevada.Most people believe it was a military base, when in fact it was originally opened by the CIA (Central Intelligence Agency. President Truman through the National Security Act of 1947 set up both the National Security Council and the Central Intelligence Agency. Back then, the Director of the CIA answered directly to the President. In 1949 the CIA Act was passed which stipulated that not only would the CIA’s activities be classified but that it’s budget would also be classified. The U. S. Government could also deny any responsibility for the CIA’s activities should they be exposed. Area 51 is still alive and well. The signs around the perimeter still indicate “the use of deadly force is authorized”, and the patrols by the “cammo dudes” in their Jeeps, and 4 wheel drive Ford and Chevy pickups, still monitor any unauthorized individuals approaching to close to the boundary of the base. After World War II the United States was very concerned about whether the Soviet Union had developed an atomic bomb. One way to find out would be to over fly the Soviet Union in a high altitude aircraft equipped with cameras. Lockheed’s Kelly Johnson designed such an aircraft and went directly to the CIA with it. Normally such aircraft would have been test flown at Edwards Air Force Base, but with the security required for such a top-secret project as this, it was decided to look for a new secure site somewhere in the Southwest. A dozen sites were looked at before deciding on Groom Lake, Nevada, adjacent to the Nevada Test site. The area which was previously controlled by the Atomic Energy Commission for testing atomic weapons was expanded to include Groom Lake and by July 1955 the CIA had its secret base. A fake construction firm “CLJ” was formed to oversee the construction on the base mostly done by sub-contractors to build hangars, a mile long runway, ramps, control tower, mess hall and other required structures. The airplane designed by Kelly was known as the “Aquatone” by the CIA, and as “Angel” by Lockheed. The first prototype was called “Article 341”, and flown to Groom Lake. Eventually that aircraft became known as the U-2.The thing to remember about the inception of Area 51 is that it was not an Air Force base, but rather that Lockheed and the CIA were in charge, not the military. Pilots were recruited from the F-84 pilots with top-secret clearances from SAC bases. If they became U-2 pilots they resigned from the Air Force and became CIA employees. The first mission over the Soviet Union took place on July 4, 1956, and the missions were quite effective due to their speed and high altitude capabilities, until May 1. 1960 when Francis Gary Powers was shot down by a Soviet missile, captured and forced to confess to spying.That same day the first American spy satellite film was retrieved which showed more information about the Soviet Union than all the previous U-2 flights combined. The satellites however did not put an end to spy planes developed and test flown at Area 51. Area 51 has long been the source of much speculation about UFOs and advanced aircraft.